The cake is one of the most important aspects of most weddings, but a wedding cake can cost a fortune and take a long time to decorate. 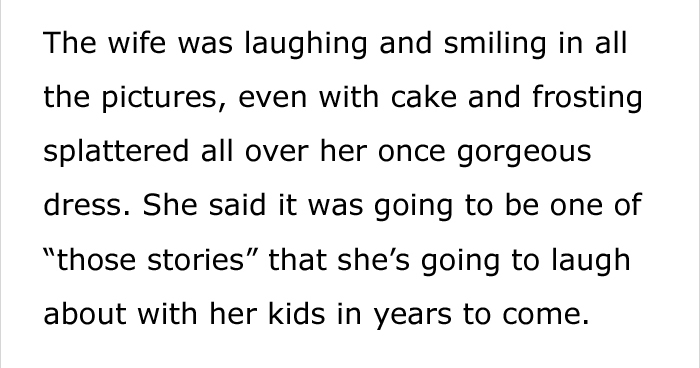 So what do you do if you’re getting married and your cake is destroyed by some…uh…unforeseeable circumstances. 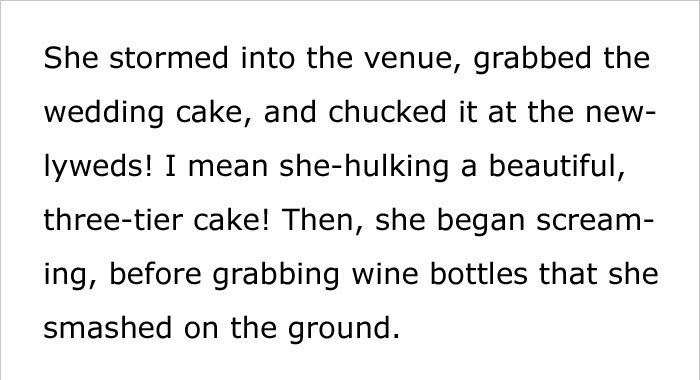 Like a jealous ex who breaks into the venue and smashes the cake and a whole lot of wine bottles, to boot. 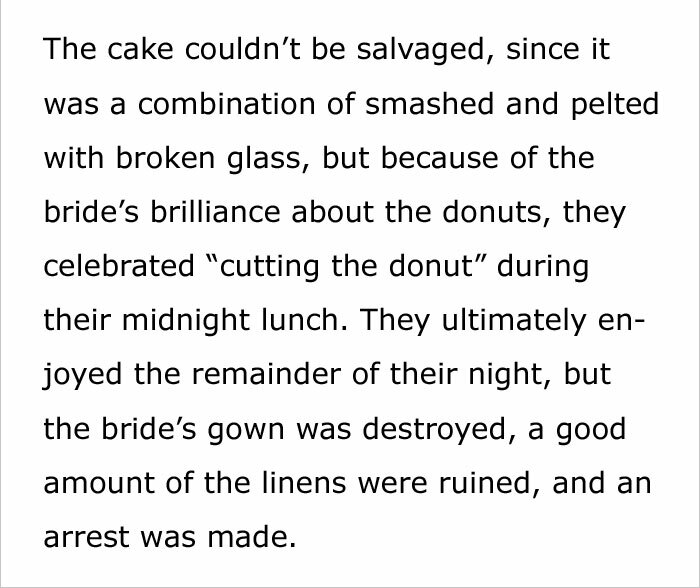 It sounds extreme, and granted, it doesn’t happen very often, but that is exactly what befell one soon-to-be-married couple who found themselves suddenly cake-less when the groom’s ex-wife crashed his wedding and smashed the cake to bits. 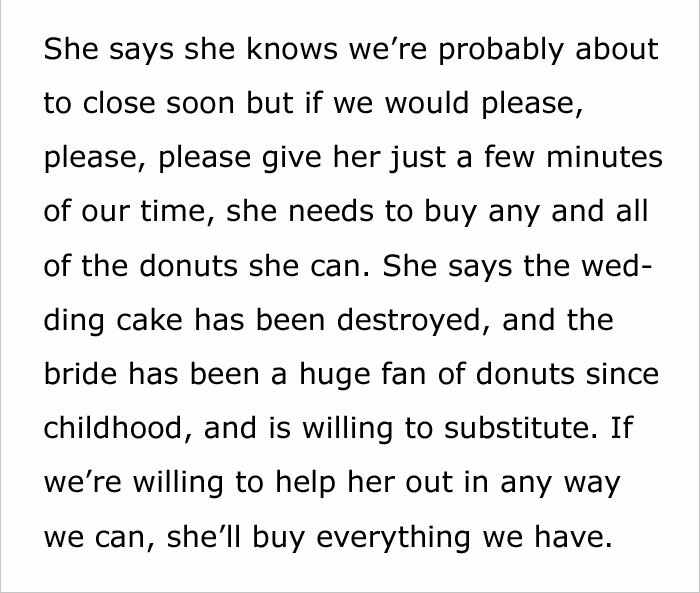 The manager of a donut shop called Happily Eclair After explained the circumstances in a post on Reddit. 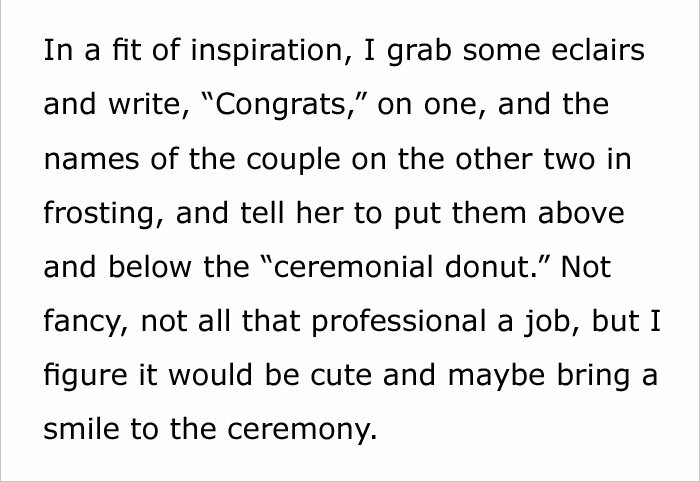 He starts by saying he got a call from a wedding planner who had a dessert emergency. Donuts to the rescue! Donuts are honestly a cool idea, and people typically love them just as much as they love cake. Plus, you get a whole bunch of different flavors—bonus! Right before the planner left with all the donuts, the manager personalized a few eclairs for the couple. Nice touch! 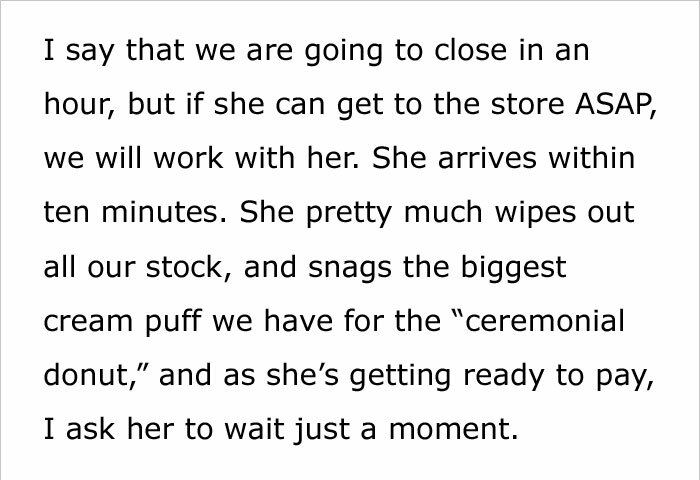 A while after the incident, the newlyweds came into the donut shop to personally thank the manager. Well, at least no one can say the wedding was boring! 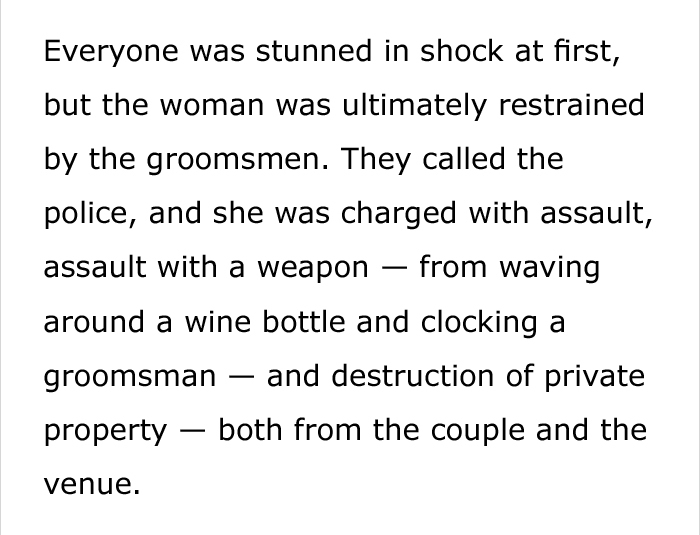 It sounds like an absolutely lovely affair, except for the arrest. 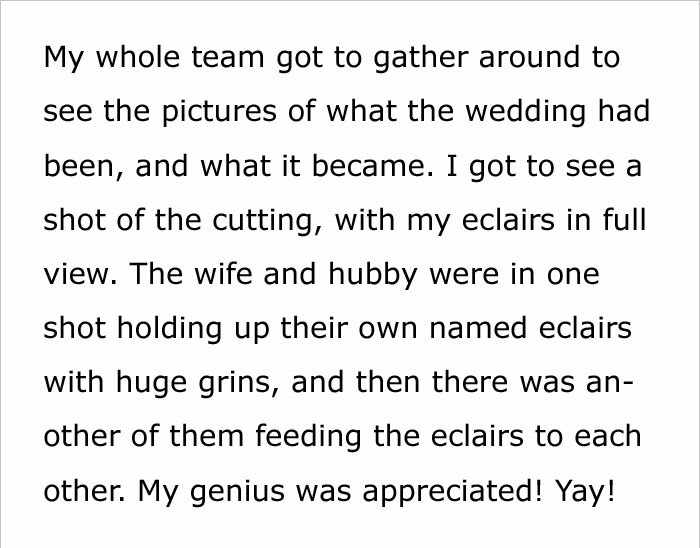 It turns out the couple really did appreciate the manager giving them the special eclairs with their names on them. Yup, if nothing else, at least it makes a good story. And the wedding guests didn’t have to go dessertless because all those yummy donuts and the donut shop manager saved the day.